с площ от 419 468 кв.м. 9 кейови места и 1 пирс. 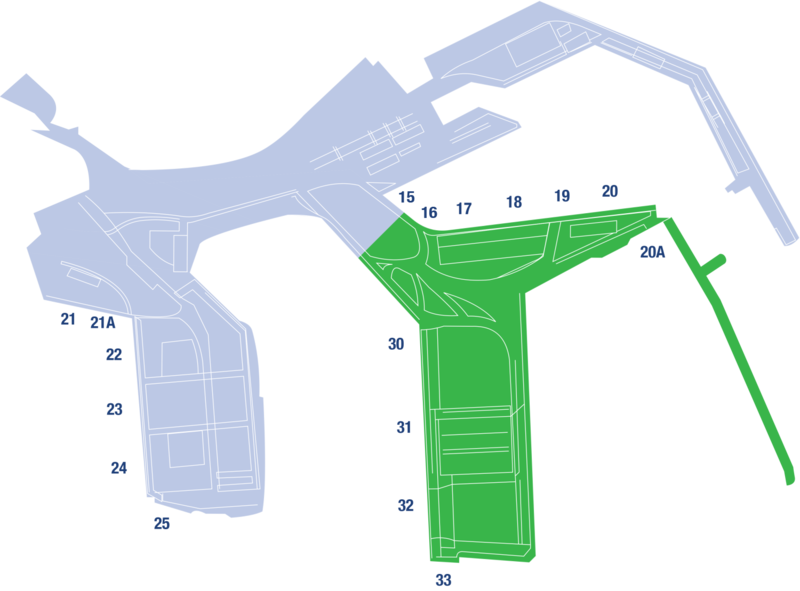 The area of port terminal Burgas East 2 is 419 468 square meters. It contains 9 berths and 1 pier. The total length of the quay front is 1592 meters and the maximum permissible draft is 14.60 meters which allows mooring of even Panamax vessels. The port terminal is protected by a 1260 m long breakwater which enables port operations even in case of bad weather conditions. Terminal Burgas East 2 has 163 000 square meters uncovered storage space and 6000 square meters covered warehouses. Different types of bulk, general, liquid and grain cargo are handled on the territory of terminal Burgas East 2. The terminal is equipped with a state-of-the-art conveyor belt system for handling and storage of coal. The road and railway network are well-developed too. BMF Port Bourgas EAD is a private port operator.